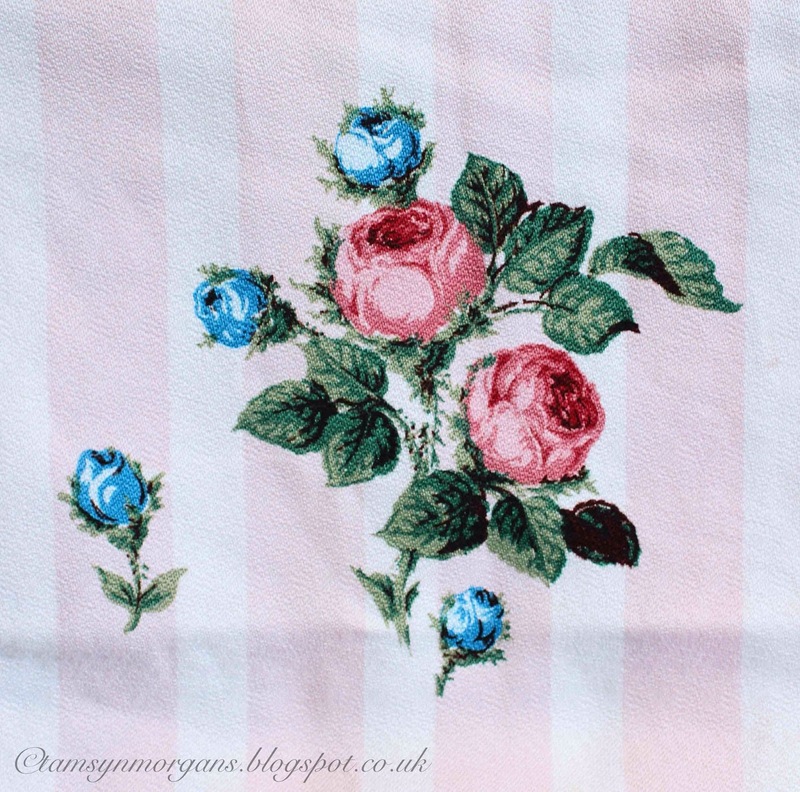 Just wanted to share a few of my car boot fair find from this morning with you…I love the embroidered table cloth which is in the washing machine as I type! 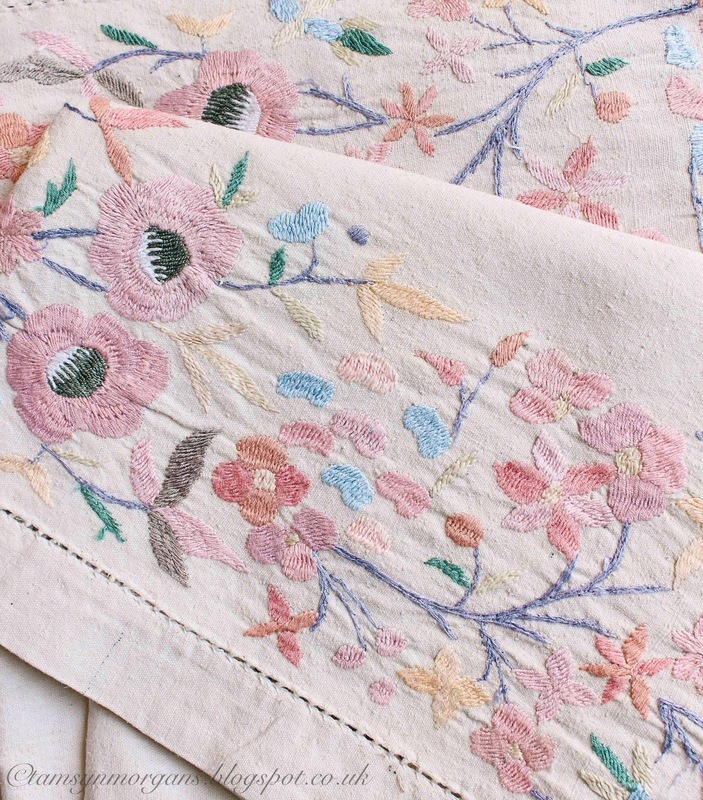 I’m thinking of making cushion covers from it. 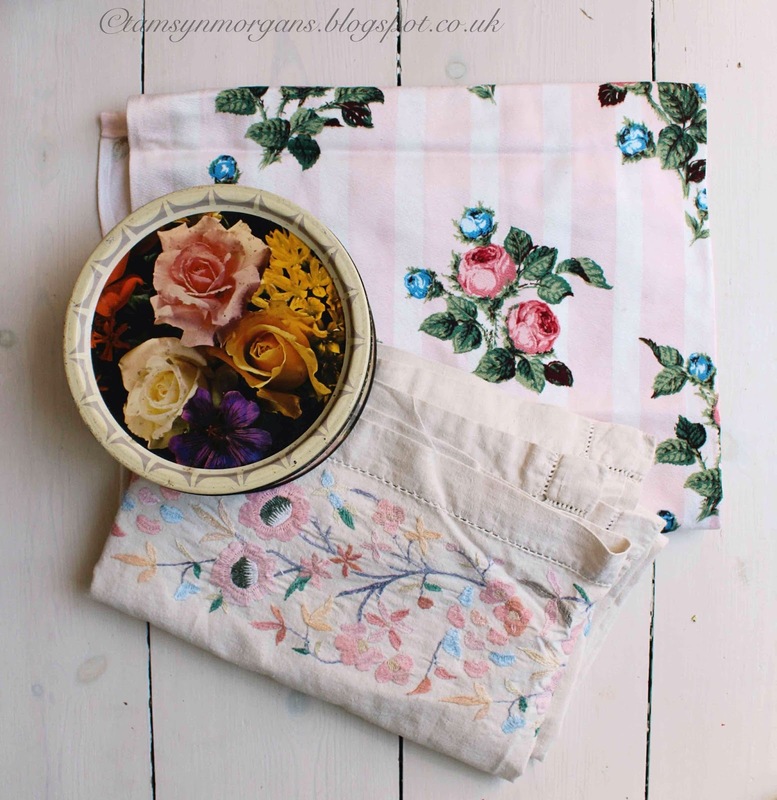 I can’t resist a vintage tin, and the rose fabric is just so pretty. I also bought a nice wooden garden chair to go round my garden table (I haven’t shared my garden with you yet, have I? Once my hydrangeas are out I will take some pictures!). Have a wonderful day – the weather in Norfolk is glorious today, I hope you all have some sunshine wherever you are! Lovely finds. Look forward to seeing some pics of the garden in time.